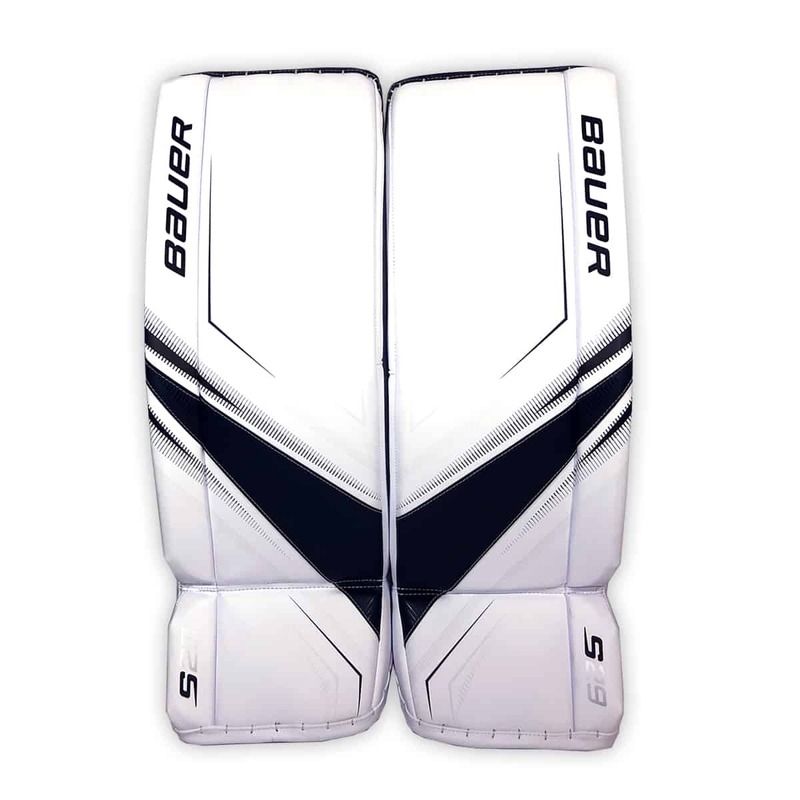 The new Bauer Supreme S29 Senior Goalie Leg pads feature the performance benefits that made the Supreme line so well received, but with improved durability and performance. 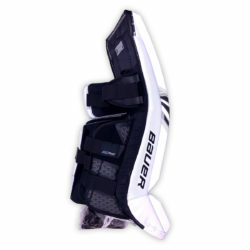 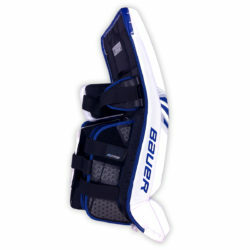 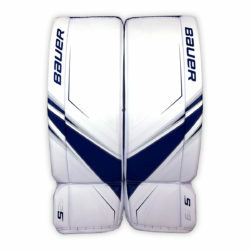 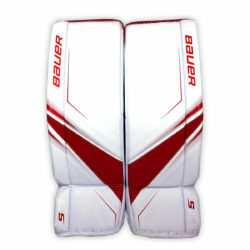 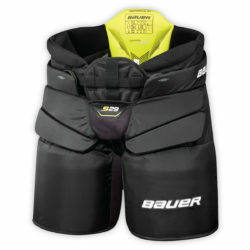 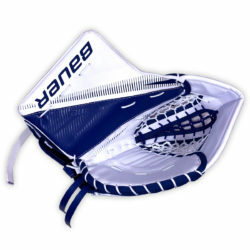 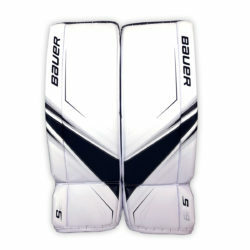 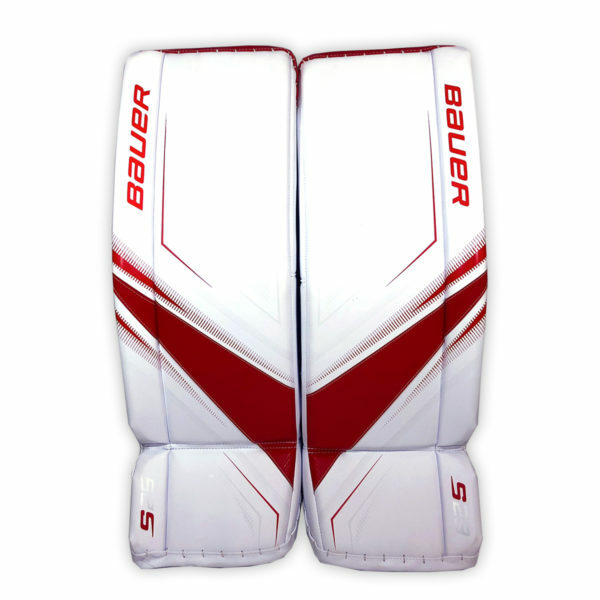 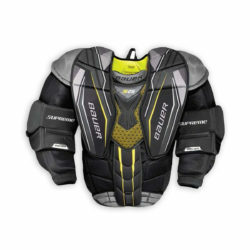 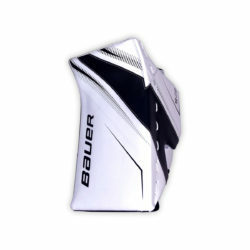 The Bauer S29 leg pads use a synthetic leather on the front face, COR Tech knee and calf plates as used in the pro-level Bauer 2S Pro pad, which improves slide along the ice. The Supreme S29 leg pad also uses a pro high density foam insert in the core of the pad, as well as a stiff boot and flex profile, coupled with a new flat knee construction and you’re going to see better stability and improved seal against the ice.